Hoda Kotb’s favorite author, Emily Giffin, joins the fourth hour to talk about her newest book, “All We Ever Wanted.” “If you want to read a book you cannot put down … this is the book to pick up,” Hoda says. 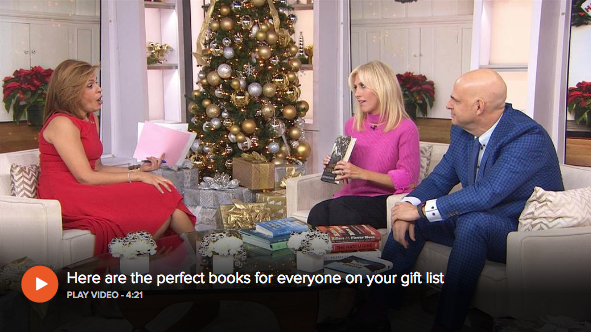 Best-selling authors Harlan Coben and Emily Giffin join TODAY with book recommendations for everyone on your gift list. Griffin’s fiction suggestions include The Story of Arthur Truluv by Elizabeth Berg; Coben praises Bluebird, Bluebird by Attica Locke as well as The Hate U Give by Angie Thomas. More on this story here. Emily Giffin has sold over nine million books telling coming-of-age stories of fictional characters. 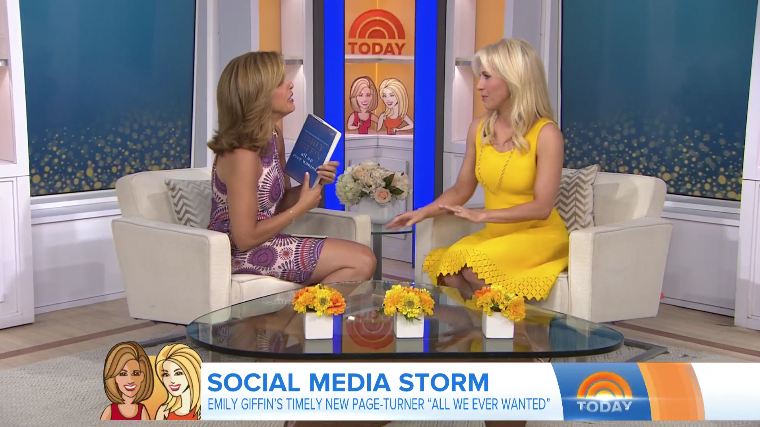 She spoke with Erica Hill and Gayle King about her latest effort, Where We Belong. Watch the interview here on YouTube. The Daily Briefing's Dana Perino talks with Emily Giffin about her latest book, "All We Ever Wanted." The fictional story highlights the relationship between teens and social media and examines how it influences real life relationships. New York Times best-selling author Emily Giffin is out with her eighth novel, First Comes Love. But she has recommendations for other summer books to read, including "Rich and Pretty," "That One Got Away" and "The Girls' Guide to Hunting and Fishing." More on this story here. Emily Giffin talks with radio and TV personality, Mara Davis about her book and the movie adaption of Something Borrowed. Watch the interview here on YouTube.